Porsche unveiled their new Panamera yesterday, there are three models in the range and now the company has released a video of their new Porsche Panamera Turbo at the Nürburgring. The Porsche Panamera Turbo comes with some impressive performance for a sedan, the car is equipped with a 4 litre turbo engine. Performance wise the Panamera Turbo is equipped with a 4 litre turbo V8 engine that has 542 horsepower and a top speed of 190 miles per hour. When fitted with the optional Sports Chrono package the Turbo has a 0 to 62 miles per hour time of 3.6 seconds. 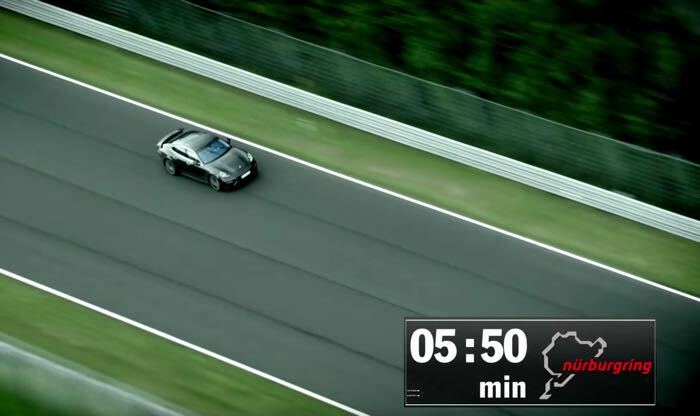 The video below shows the new Panamera Turbo racing around the Nürburgring. As we can see from the video the new Porsche Panamera is impressive and according to Porsche it is now the fastest luxury sedan available as it managed a time of 7 minutes and 38 seconds.